This month I’ll be featuring new Thermoweb Decofoil techniques and tutorials on how to create unique foiled effects on paper. Today I’m sharing the first tutorial. You’ll learn in a few quick steps how to create unique distressed backgrounds using foil. The result is almost as if you would have painted, splattered and splashed your paper with paint only with a much more beautiful texture, foil. 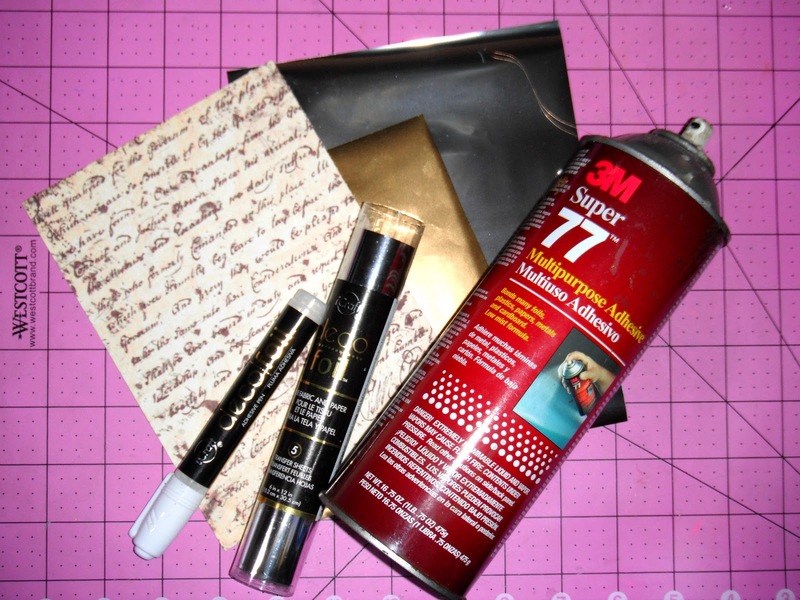 To achieve the foil distressed effect You will need these basic supplies (detailed on the supply list above). I’m using spray adhesive and an adhesive pen today but I have tried a different distressed foiling technique before with another adhesive (see tutorial here). 1. 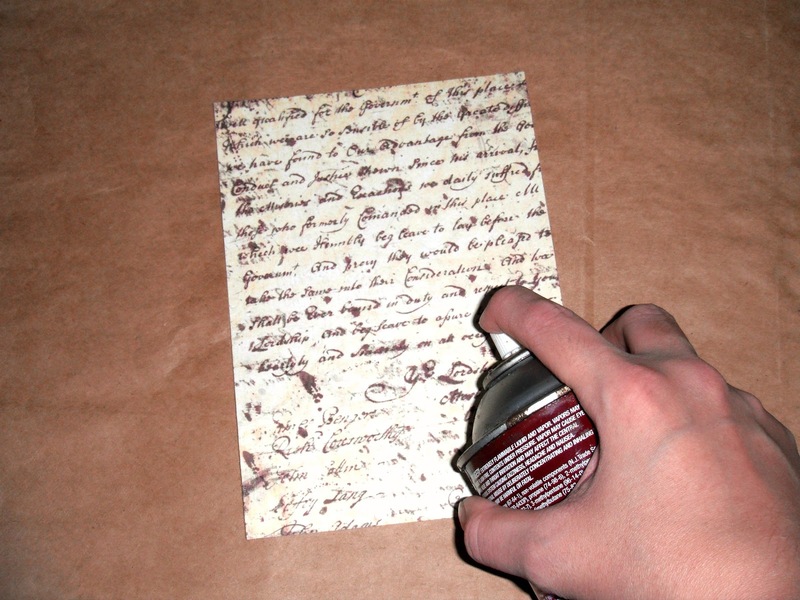 Protect your work surface and spray a piece of patterned cardstock with the spray adhesive. 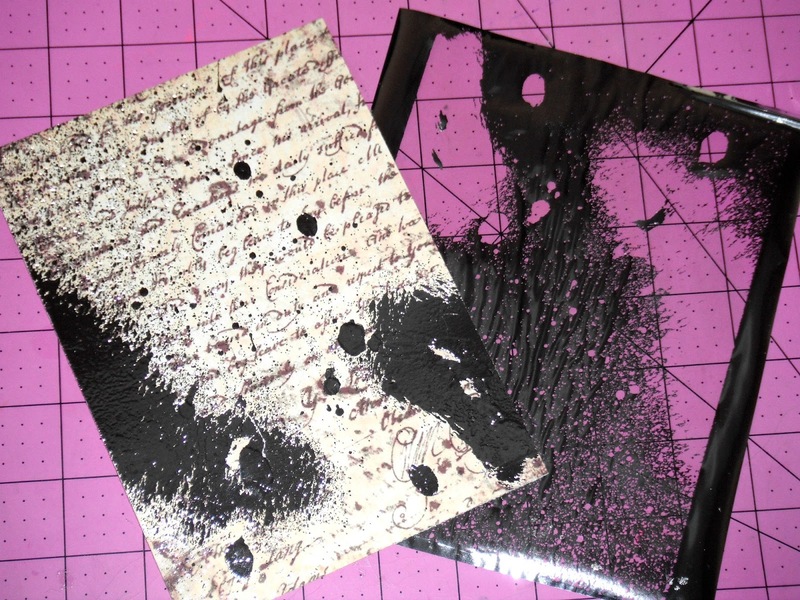 To create different splatters try out spraying the paper from different distances. The further you spray the smaller the splatters will be. For bigger splashes spray closer to the paper. 3. Remove the foil to reveal your first layer of foil distressing. You can always add more splatters if you wish. 4. 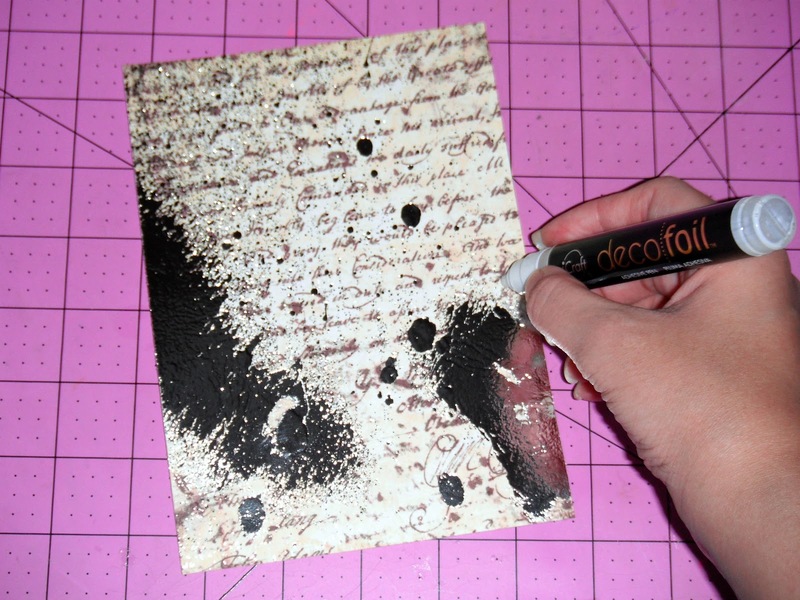 Use the adhesive pen to draw random splatters around the edges and even larger dots. 6. 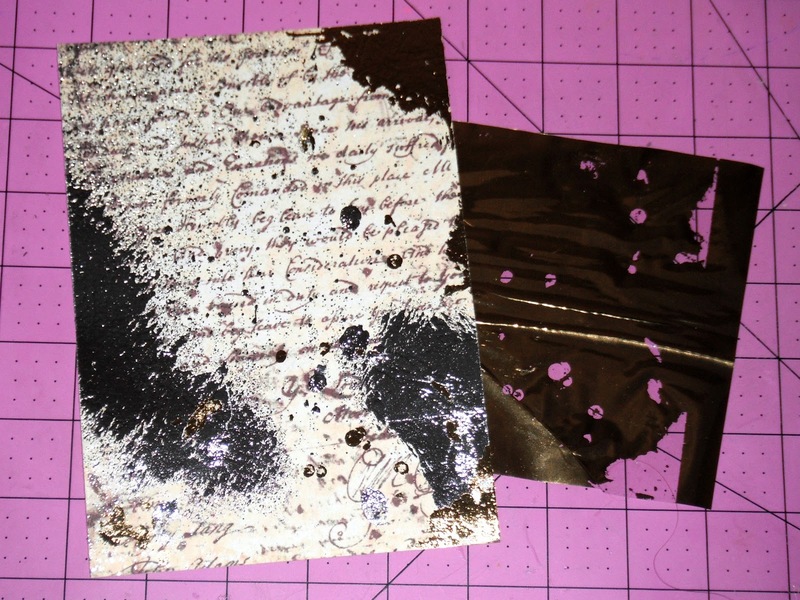 Peel the transfer sheet to reveal the second layer of distressed foiling in gold. This technique is super easy to achieve and it creates unique backgrounds every time. 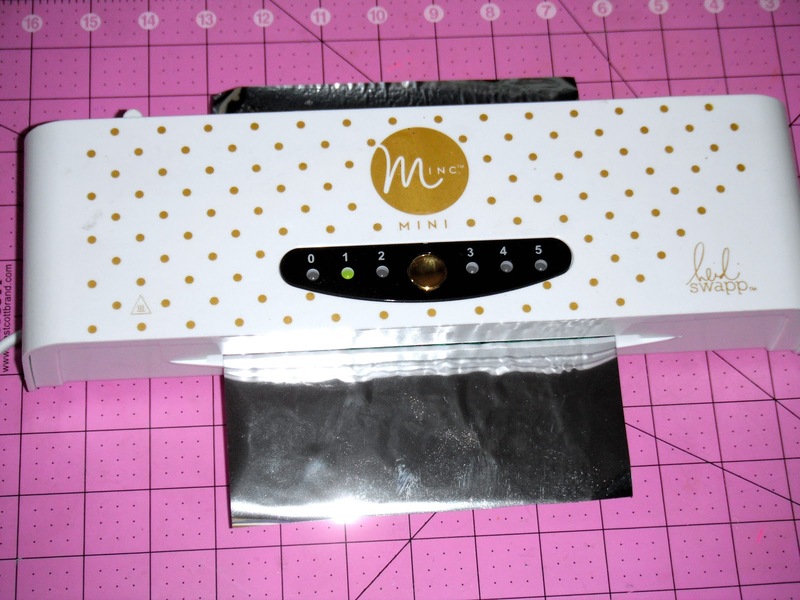 You can get a lot of backgrounds from 1 single foil transfer sheet and you really don’t need that much adhesive, so this DIY is very affordable too! Make sure you visit Thermoweb’s shop to check out their Decofoil line of adhesives and transfer sheets. I hope you enjoyed today’s post. If you found this tutorial useful please let me know in the comments. I will be back soon with a second technique using Decofoil, so stay tuned! Thanks for stopping by. Remember to subscribe to my newsletter so you don’t miss any new tutorial, product feature or giveaway! Oh my gosh! What a cool technique! And this flower is my favorite digi yet! GORGEOUS!!! This is positively gorgeous. So breathtaking. Thanks for joining us over at The Card Concept. How extremely stunning! Thank you for the awesome tutoria! So gorgeous in every way. Great colors and love the dimension and design. I came through The Card Concept blog. Thanks for the sweet comments on my card. Your card is absolutely gorgeous. And thanks for the detailed tut on foiling. 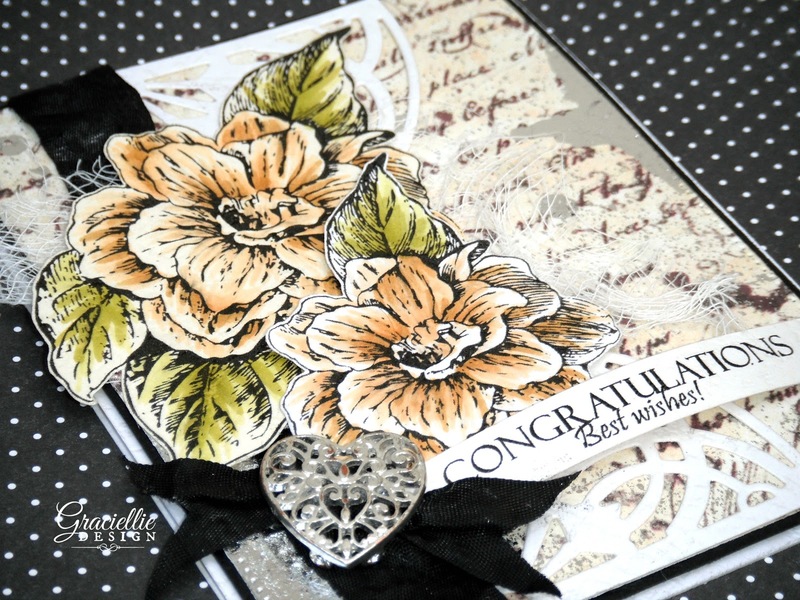 Beautiful card with all the pretty details and a great tutorial and technique! Thank you for joining us at Double D for our 'YELLOW' challenge! Pretty card! Thanks for sharing the details! I pinned the link! This is stunning and I can't wait to try this! Gorgeous creation Gracie! Thanks for sharing your tips/tricks! Thanks so much for joining in the fun at our Double D ‘YELLOW’ Challenge! We hope you’ll come back often. 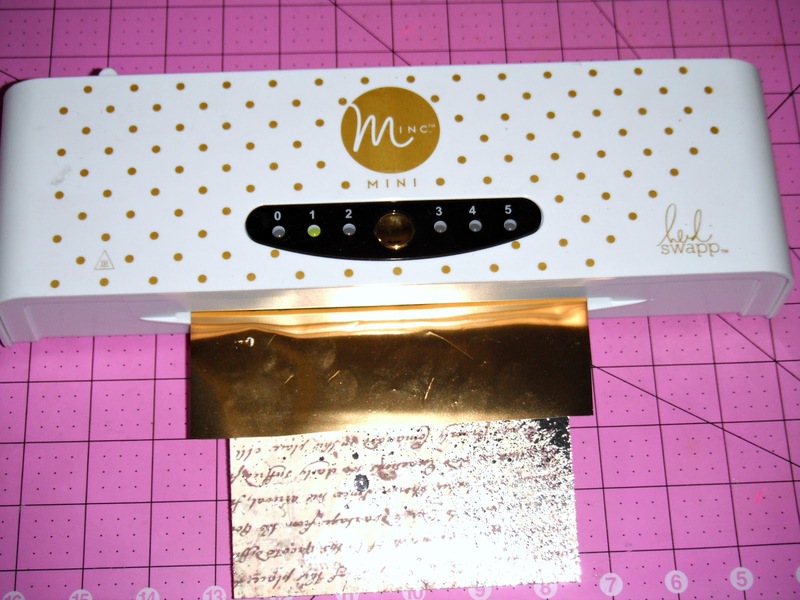 Your DecoFoil/Minc card has made me excited to try out my new Minc machine and start creating. After getting the technique mastered, I'll be sharing this with my girlfriends in our 'card pros' group. Thanks for the mini lesson. Your card is absolutely gorgeous! Love all your tips! Thanks for sharing with us at Scrapy Land Challenges! Absolutely gorgeous card and the detail in the background really makes a difference on this card. Thanks so much for playing along with us at The Mod Squad Challenge. Good luck, and hope to see you again. Hi Gracie! 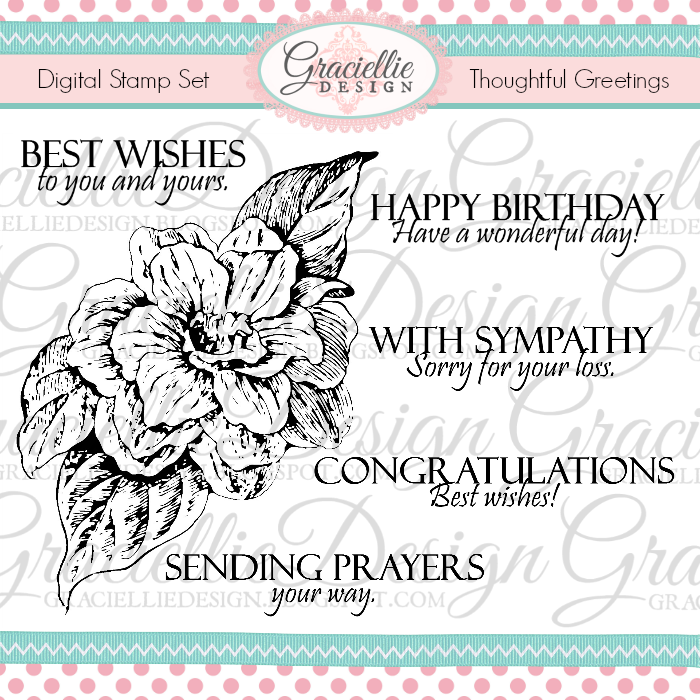 I'm back again with my Dies R Us hat on and wanted to thank you so much for sharing your beautiful designs with us for our 'SCALLOP' challenge. Please come back again soon! LOVELY card and unique idea for the Minc:)) Thanks for celebrating with us at The Card Concept! Gracie, I LOVE this beautiful technique! Your card is gorgeous! Thanks for joining us at House of Cards! 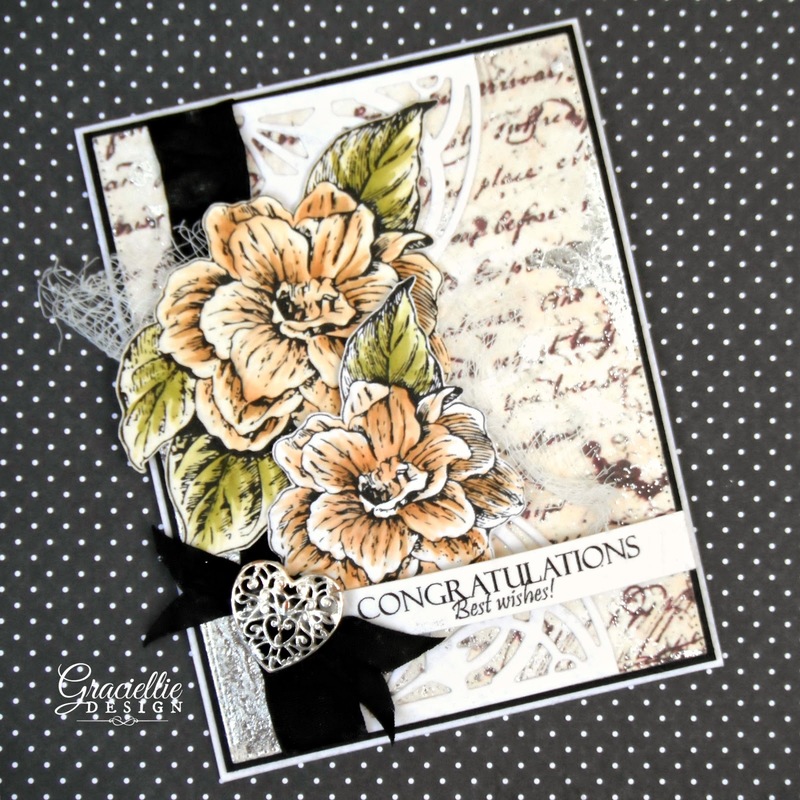 Gorgeous card and a great technique, thank you for sharing it with us at HOC. WOW this is gorgeous! I bet in person it is even more stunning!! thank you for playing along with us at simon says stamp wednesday challenge! Hi Suzanne! Thanks for stopping by. Feel free to browse my video tutorials to learn how I make these flowers. Hope you come back soon! Love this card! Your stamps are gorgeous! Good to see you at The Card Concept! 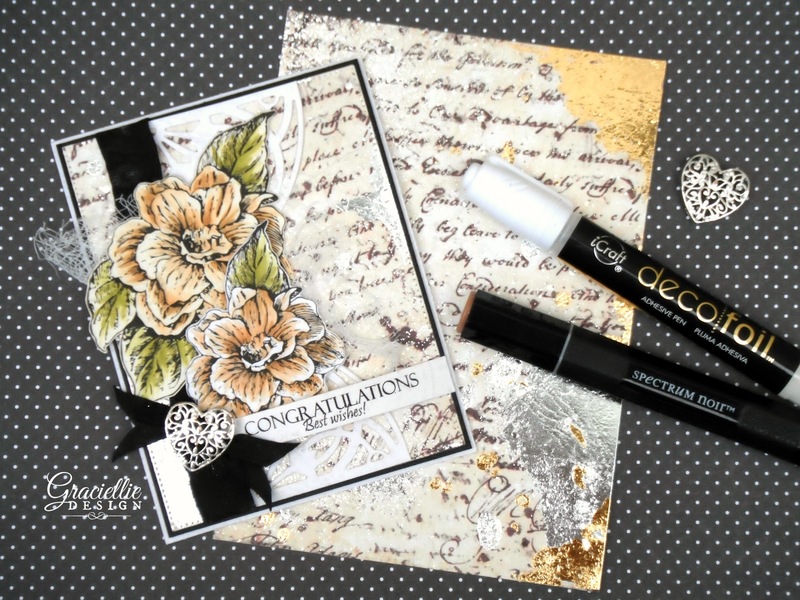 Such an impressive card, I love the wonderful background you had created, it is stunning, and the colors are subtle at the same time, I am in awe at your card, thanks for stopping by my blog 🙂 I am so glad you did, otherwise I would have missed this beautiful creation! Thanks for joining us at Scrapy Land Challenges and good luck ! A real gem you made!!! Stunning as allways! Thanks for joining us at House of cards. This is so pretty! I've never worked with foil…looks like fun! Thanks for joining us this month at House of Cards!